We have a number of resources available to download to help you spread the message. Click on the name of the resource below to download a printable PDF version. More people in our region are diagnosed with cancer than the England average and we know that catching cancers at an earlier stage greatly increases the chance of survival. Through a range of community based activities and initiatives we aim to make sure everyone is aware of the signs and symptoms of cancer, know what screening is available to them and ultimately increase the number of people diagnosed at an earlier stage. Ordinary members of the community can get involved and be supported to raise awareness with their family, friends, neighbours and work colleagues. They will do this by word of mouth, distribution of information and signposting people to the range of services available to them. They will assist in giving information which is beneficial to others and motivate people to be more aware and alert to cancer symptoms. We will use this page to keep you updated on events and activities in your area as well important information about cancer and services in your area. Derbyshire Voluntary Action in North Derbyshire and Hardwick. Click on the links below to find out more about whats happening in each area. If you are interested in getting involved in the Be Cancer Safe social movement email sheffieldccg.sybndcanceralliance@nhs.net with your name, the area you live and your contact details. Voluntary Action Rotherham (VAR) is the lead body for supporting, developing and promoting the voluntary and community sector in the Rotherham borough. VAR will be delivering Be Cancer Safe events and activities in Rotherham and Barnsley - they will be working in conjunction with Voluntary Action Barnsley to cover this area. VAR are currently in the process of recruiting Project Workers who will take the initiative forward and sign up volunteers and cancer champions across Rotherham and Barnsley. Watch this space for more information about how you can get involved in Rotherham and Barnsley! Aurora Wellbeing Centres support local people and their families living with cancer. 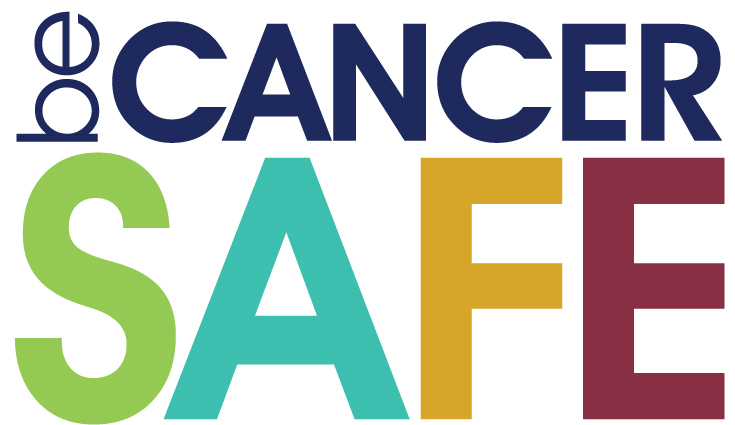 Aurora will be leading on Be Cancer Safe events and activities across Bassetlaw. They are currently in the process of recruiting Project Workers who will take the initiative forward by signing up volunteers and champions to spread the word. Watch this space for details on how to get involved in Bassetlaw! The Living Well Service at Rotherham, Doncaster and South Humber NHS Foundation Trust offers information and support to the public, patients, their relatives and carers, or anyone worried about cancer. The Living Well Service will be leading on Be Cancer Safe events and activities across Doncaster. They are currently in the process of recruiting Project Workers who will take the initiative forward by signing up volunteers and champions to spread the word. Watch this space for details on how to get involved in Doncaster! For more information about the Living Well Service visit www.rdash.nhs.uk/services/our-services/adult-doncaster-community-integrated-services/living-well-service/. Derbyshire Voluntary Action supports and represents health related voluntary organisations across Derbyshire. Derbyshire Voluntary Action be leading on Be Cancer Safe events and activities across North Derbyshire and Hardwick. They are currently in the process of recruiting Project Workers who will take the initiative forward by signing up volunteers and champions to spread the word. Watch this space for details on how to get involved in North Derbyshire and Hardwick! For more information about Derbyshire Voluntary Action please visit www.ndva.org.uk/. Sheffield is now recruiting Cancer Champions and Cancer Ambassadors to help in the fight against cancer. There are a number of community based prevention activities happening with partner organisations that can help to prevent and delay people needing access health services.